All photography by Alex Chomicz. 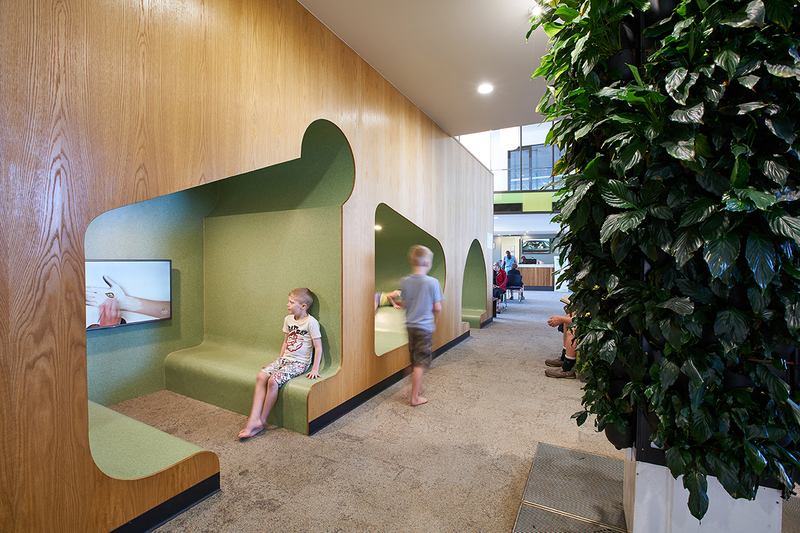 Taking the concept of patient wellness as an integral design driver, Wilson Architects has designed Caboolture’s new GP Super Clinic replete with vibrant interiors and plenty of natural elements. Setting a new benchmark in healthcare design, the $8M Super Clinic fosters healing and respite for patients. Wilson Architects’ design approach focuses on the experience of the occupants and visitors through a concept called salutogenesis – a method coined by a professor of medical sociology Aaron Antonovsky. This approach promotes well-being in healthcare and focuses on factors that support human health, rather than on factors that cause disease. 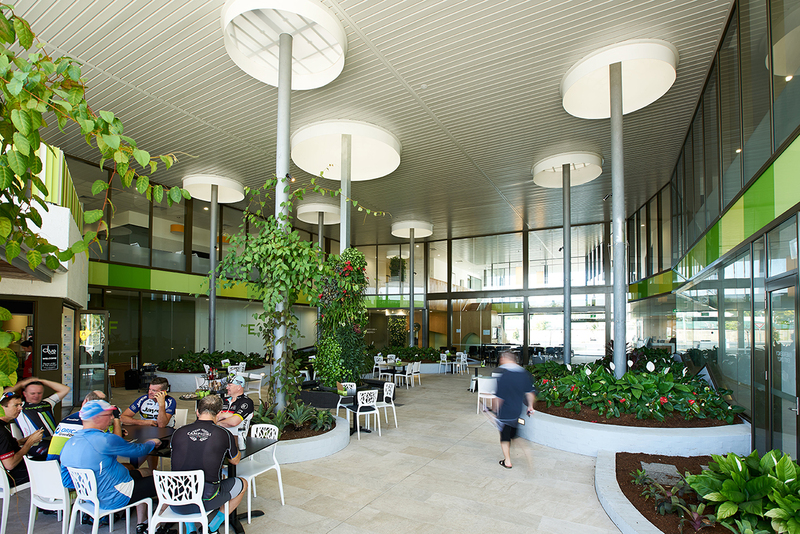 Vertical gardens, fishponds and a light-filled atrium have all been employed to provide a calming atmosphere and bring the users in direct contact with nature. “From a patient’s perspective, it’s revitalising and refreshing, because you’re surrounded by nature and life,” says Caboolture local Fiona Heckelmann. Wilson Architects’ intent was to facilitate a positive human experience through design. “We design places for people. Through better design, the GP Super Clinic will, in fact, enable better patient outcomes,” says Hamilton Wilson, managing director of Wilson Architects. Part of the design process was bringing community involvement in throughout the design phase. Being a community facility, it was important that locals felt ownership of the project and that the outcome effectively connects with the public, a process that Wilson explains was a vital component to the project’s success. 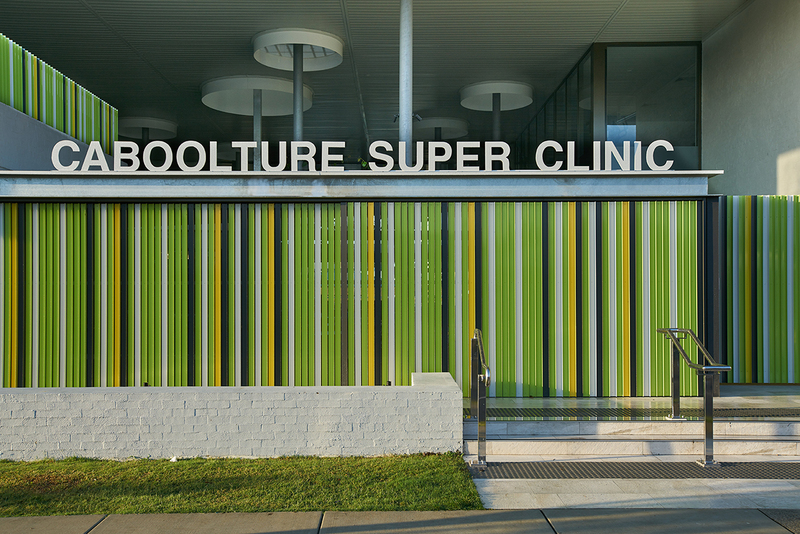 Super Clinics Health Care (SCHC) operates the clinic as part of the Federal Government’s GP Super Clinic Program.